Here is another great good news for jobinassam readers. Jobinassam brings BPCL Management Trainee (Mechanical) Recruitment news for you. 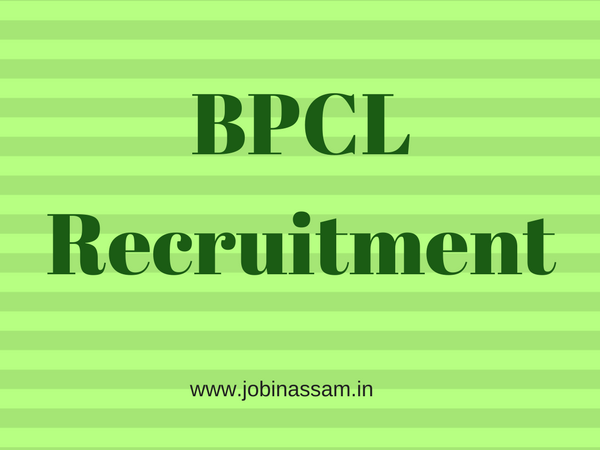 BPCL invites energetic and ambitious young candidates of Assam for Management Trainee post. Salary: Management Trainee will be appointed in Job Group “A” in the salary scale of Rs. 24900 - 50500/-. Candidates interested in joining BPCL as Management Trainee Engineers in are required to appear in GATE - 2018. Interested candidates who have passed the eligibility qualification can apply online at BPCL website after obtaining the registration number for GATE-2018. Only online from 05/01/2018 to 02/02/2018 at BPCL website only with the GATE 2018 Registration Number.